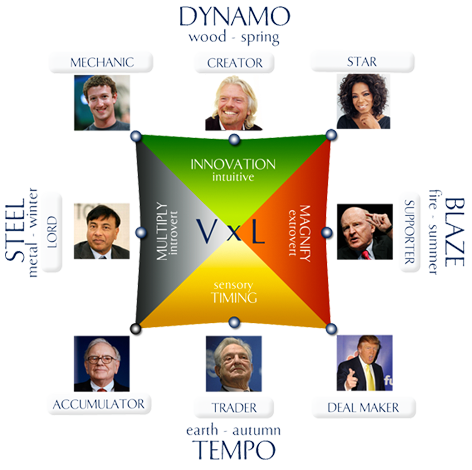 Discover your genius, and use that information to create greater alignment, value, flow and trust in your life, in business, on teams and with your money. Want to learn more about Flow Profiles and your profile? Flow Profiles has a series of integrated coaching & consulting services designed to empower organizations to attract, grow and retain high performing teams that produce high results. 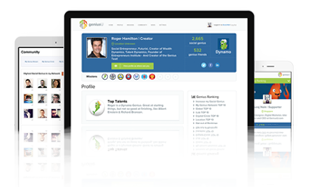 The profile used inside of the Flow Profiles system is called Talent Dynamics and has been used by over 500,000 leaders around the world. We move beyond your team's understanding of their profile into the successful application of these tools in order increase flow & trust at the individual, team and enterprise level. After clarifying your company culture, values and vision, we integrate these tools into your team with the intention to cause exponential growth in revenue, profit & overall fulfillment. The first step on the Flow Profiles Pathway provides you with an Individual Profile & Debrief. As a leader, this personal experience of your own profile allows you to more powerfully understand the real application and utilization of this tool within your organization. Based on our experience, Taster Sessions delivered to your company leaders is enough to generate organizational alignment and excitement for what is now possible for your enterprise. The Team Flow & Performance Maximizer is an impactful, interactive month-long program that engages your department or organization in a collaborative approach to fulfilling on your enterprise vision. The Two Day Workshop (an in-person event delivered anywhere in the world) has a guarantee that you'll generate at least $100K of new revenue opportunities in just two days. Finally, after upleveling flow, trust, and performance, your leaders have the opportunity to leverage a year of leadership & performance coaching designed to integrate all of these distinctions into the ethos of your company. 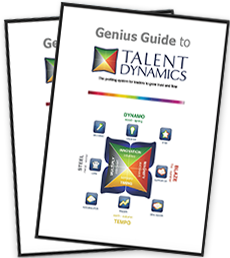 Talent Dynamics is the world’s leading profiling tool to grow trust and flow. Take the test to find out which of the eight talent profiles is your natural path. Your personalized report will give you clear direction on what path to follow in your life, business and career. Why make things hard work when you can follow your flow? Join 500,000 leaders and business people who are following their flow with Talent Dynamics, the leading profile system for entrepreneurs, individuals and organizations. Clinton has 17 years of experience as a corporate and entrepreneurial leader in various roles ranging from Director level positions in Talent Acquisitions, Sales Leadership, International Business Consulting, & Training, to businesses in Sales & Marketing, Real Estate Investing, and Motivational Speaking for college students. Mayumi is a CPA, former senior public accountant with Price Waterhouse, former international finance executive, licensed coach, and business/financial architect, with over 20 years of experience. Mayumi has managed a half billion-dollar international finance operation across 13 countries; she has been a consultant to Fortune 500 companies; she has trained & coached thousands of entrepreneurs across the country; and has screened & recruited countless professionals for her accounting practice. Cheryl is a Certified Flow and Performance Consultant for Talent and Wealth Dynamics working with individuals and teams to facilitate flow and performance, maximizing trust and value. She is also a certified Life and Business Coach and works with businesses, leaders, entrepreneurs, social entrepreneurs as well as non-profits, helping them to build, grow and expand their mission, impact, delivery and financial revenues and profits while also harmonizing all areas of their lives. Char builds & engenders organizational leadership & cutting edge performance. For over 30 years her distinctive approach has enabled clients to identify unseen limitations on performance, break free of "business as usual", and deliver results far exceeding what they thought possible. While many personality tests are not easy to explain to others, once you know the eight profiles and how they link to the way we create value and leverage it, it’s easy to explain and apply. You can use Talent Dynamics immediately to directly grow your flow, and use the Flow Profiles system to grow & measure your flow. Through its link to the I Ching and the five chinese elements, Talent Dynamics links to the fifth element - spirit, your team purpose and company mission, and the question ‘why’.